Researchers from the Netherlands have used a familiar drug to counteract a pre-existing phobia, with effects lasting up to one year. For the last 15 years, neuroscientists have been interested in the reconsolidation period, when memories are recalled and can be modified, wrote Marieke Soeter, Ph.D., and Merel Kindt, Ph.D., of the Department of Psychology at the University of Amsterdam, in the December 15 issue of Biological Psychiatry. Thirty participants who were afraid of spiders were exposed to a caged tarantula for two minutes to reactivate their fears, and then asked to report their level of fear or anxiety. Afterwards, in a double-blind procedure, half of them were given a single 40 mg dose of the beta-blocker propanolol and half a placebo. 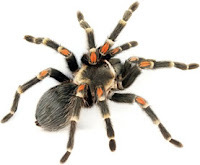 A third cohort of 15 spider-fearful participants who were not exposed to the caged tarantula also received a single dose of 40 mg propranolol. When tested three months and one year later, the group that was exposed to the tarantula and who also took the propanolol had less fear of spiders compared with the others. The researchers also observed that the behavioral reduction of the participants’ fear preceded any articulation of the same effect.